Believe it or not, there’s more to energy switching than simply cutting the cost of your gas and electricity bills. Although getting the best-priced tariff is often the main motivation for switching energy supplier, the latest Which? research on the best and worst energy suppliers once again highlights the importance of choosing a supplier that not only offers value for money, but also good customer service, along with clear and accurate billing. 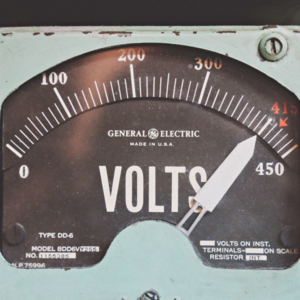 So, how does your energy supplier measure up? The Which? study took in the opinions of around 8,000 UK gas and electricity consumers, and included ratings for 30 energy companies in England, Scotland and Wales, along with seven from Northern Ireland. If you’re a loyal customer of the Big Six energy companies, the results may come as a surprise, and even make you consider switching to a smaller supplier when your current deal is coming to an end. Who are the UK’s best and worst energy suppliers? Price is the most important factor when choosing an energy supplier to switch to, so it’s no surprise the top performing energy companies rated highly for value for money. And, as consumers get savvier about savings and energy efficiency, so the top-rated providers also score highly for accuracy and clarity of bills. Octopus Energy has been rated as the UK’s top energy supplier, with an 80% customer score and five-star ratings right across the board, including accuracy and clarity of bills, online and telephone customer service, complaints handling, value for money, and helping customers understand and reduce energy usage. This was closely followed by Robin Hood Energy and So Energy in joint second place with 78%, and Ebico and Tonik Energy in joint third place with 76%. Ovo Energy ranked fifth with a customer score of 74%. Utility Warehouse, who came out on top in last year’s survey, dropped to seventh, while Flow Energy, who were second with a customer score of 77% dropped to 14th, with a score of just 68% this time around. It’s also interesting to see two local energy suppliers, Robin Hood and Britsol Energy make the top 10 – Bristol Energy moved up from 10th to 8th, while Robin Hood Energy crashed into joint 2nd spot with an outstanding score of 78%. It probably won’t come as much surprise that Spark Energy finished towards the bottom of the list – the recently defunct energy supplier got two-star ratings across the board and finished with a customer score of 52%. Amazingly, they never finished bottom of the pile – Solarplicity took that unwanted accolade with a one-star ratings for customer service and complaints handling and a customer score of 44%. If you’re a customer of the Big Six suppliers, it might be time to look away now – as they make up six of the next seven places, with customer scores between 54% and 58%. The quickest and simplest way to make sure you’re on the best energy deal is to enter your postcode at UKPower and run a price comparison – powered by uSwitch, our service is completely free and impartial, and within seconds we’ll show you the best-priced plans from a whole range of suppliers. And, because we know there’s more to switching than simply getting the best-priced tariff, when you find a tariff that suits, click on the supplier logo for more information. Or, if you prefer, give our energy experts a call on 0800 014 2918 and they can find you the best deal with the supplier that’s right for you. To check out the full results, visit the 2019 Which? energy survey results page. To check last year’s results, visit the 2018 Which? energy survey results page.